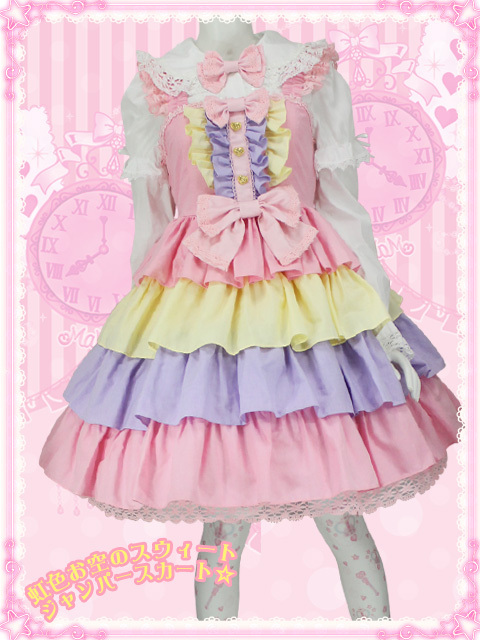 Honestly I had almost forgot about Mam Maxicimam and then I saw wonderfully quirky dress! The finish and the lace is nowhere near the quality of an AP dress but there is still something about it! I love the sharp contrasts and the colors look really cute together. 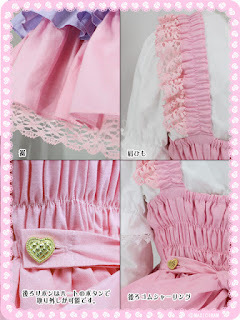 The frilly part on the bodice actually makes it really balanced. 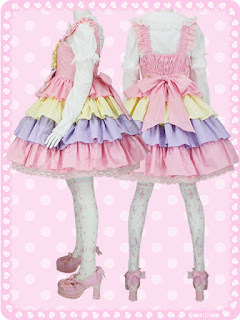 I think this would be perfect for a more fairy kei inspired outfit. I want to wear it with bunches of cute accessories and really kawaii style hair and make-up. I like the shape of the skirt too it feels really poofy. All in all I would say I really like this dress. Oh my gosh! 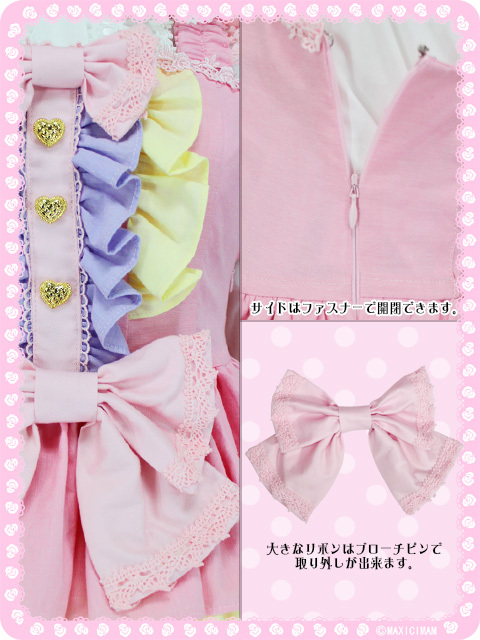 Like literally what a magical girl would wear! Ahh I want some! Got to find a way to buy them!